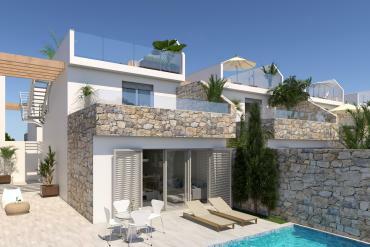 If you need a real estate agency that offers wonderful new build properties for sale in Los Alcazares - Murcia, come and visit Casas Espania Real Estate. In our web catalog we have 27 newly built homes for you to take a look and see the qualities and qualities of our properties. 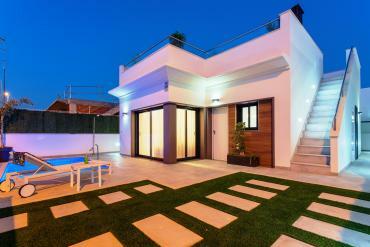 These properties are totally modern and adapted to the new times. Some properties that have been designed so that their owners acquire the pleasure of living in an authentic quality home. 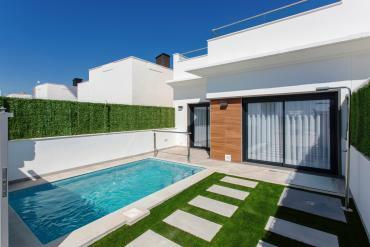 One of the reasons that increase the status of our properties is their location. 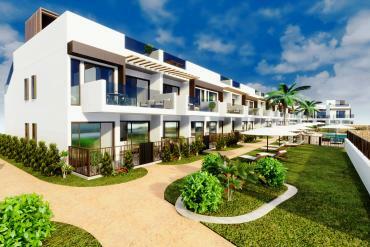 Our homes are located in amazing places of Los Alcazares such as: Serena Golf and Beach Resort, Dolores de Pacheco, Roda or Los Alcazares itself. These are places perfectly chosen for the use and enjoyment of our clients. In many of these areas you can practice golf, for example. An exciting sport that is practiced in several countries. 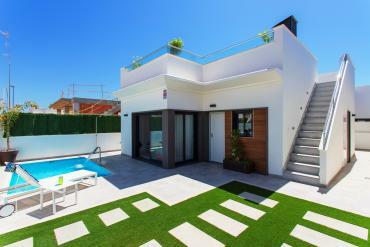 Your property may be very close to the golf courses, so it will give an increase of color and brilliance to your home. You will also have the possibility to choose your property near the sea so you can enjoy them every day, either in summer or in winter. 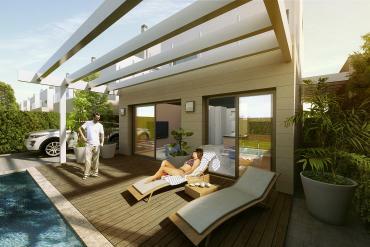 What else can you benefit from buying our new build properties for sale in Los Alcazares - Murcia? 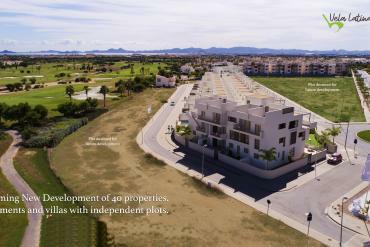 Besides the factor of the surroundings of the golf course or the proximity to the sea, if you bet for our new build properties for sale in Los Alcazares - Murcia you can benefit from other aspects such as the space of the houses. 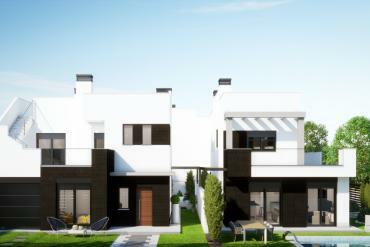 If you are looking for a spacious home with several livable meters, our newly built properties are your choice.